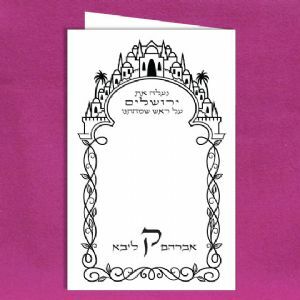 You will be surprised to see the beautiful Hebrew English wedding invitations that we produce from our budget line of invitations. 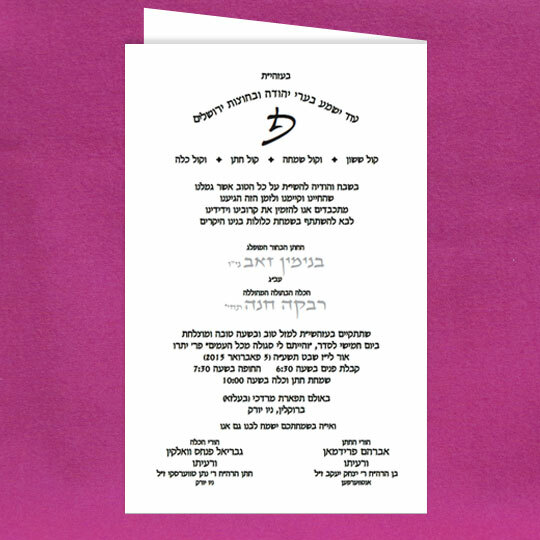 When considering a Hebrew English wedding invitation, you will be pleasantly surprised at the many ways that we incorporate both languages in the limited space of an invitation card. Different borders, different layouts, and different ideas for Hebrew English wedding invitations. 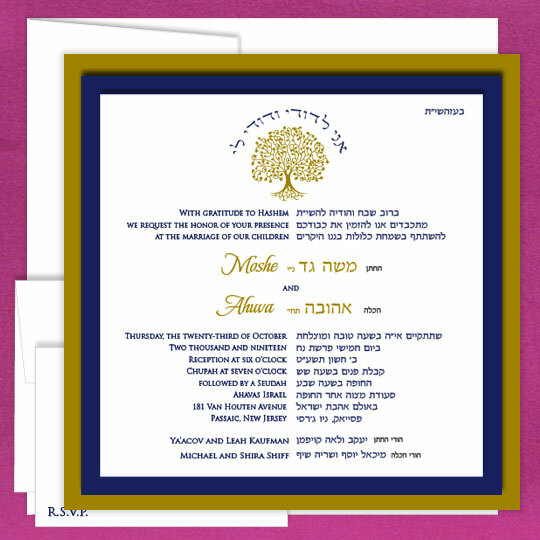 For a little originality and an added dimension of elegance choose your Hebrew English wedding invitation from our Squares and Horizontal collection. This is what everyone is asking for. You can choose to do two actual colors or call us about printing a cheaper version of a Mock Two Color. 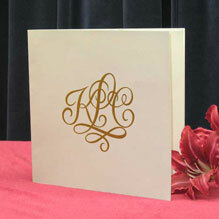 A new budget line with quality flat printing that will save you money! 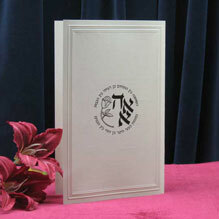 Enjoy the same designs and quality paper as our other Hebrew English wedding invitations. Feel free to use any combination of fonts you like.